Fastlane can assist with the export of commercial and personal goods from the UK Middle Eastern countries of Egypt, Iran, Turkey, Iraq, Saudi Arabia, Yemen, Syria, Jordan, United Arab Emirates, Israel, Lebanon, Oman, Kuwait, Qatar, Bahrain. We offer a fortnightly service from Southampton to the Middle East through the following methods of shipping. RORO service departs fortnightly from Southampton to Egypt, Iran, Turkey, Iraq, Saudi Arabia, Yemen, Syria, Jordan, United Arab Emirates, Israel, Lebanon, Oman, Kuwait, Qatar, Bahrain. 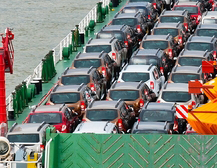 The vehicles are driven into the ship and stored inside the ship's deck for safe shipping. We can offer full container services to Egypt, Iran, Turkey, Iraq, Saudi Arabia, Yemen, Syria, Jordan, United Arab Emirates, Israel, Lebanon, Oman, Kuwait, Qatar, Bahrain. 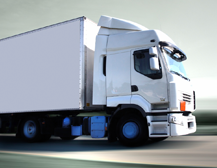 We will deliver the container to your UK address for 3 hours to allow you to load the goods. If you require the container for longer than 3 hours, this can be arranged for up to a month. However, please note the cost will be much higher than the cost for loading the container for just 3 hours. 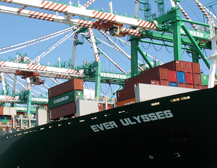 We offer a Weekly container services from the UK to the Middle East. Shared container service is suitable for those commercial or personal clients wishing to ship in a container but find that they do not have enough goods to fill up a whole container. The clients will be charged solely for how much space they occupy in the container. Fastlane can arrange to collect your commercial and personal goods from your office, home or warehouse. However, you can also deliver to any of our depots in London, Manchester, Hull, Birmingham, Scotland and Dublin.